Daddy and Ethan took yet another KTM train journey, our fourth thus far. 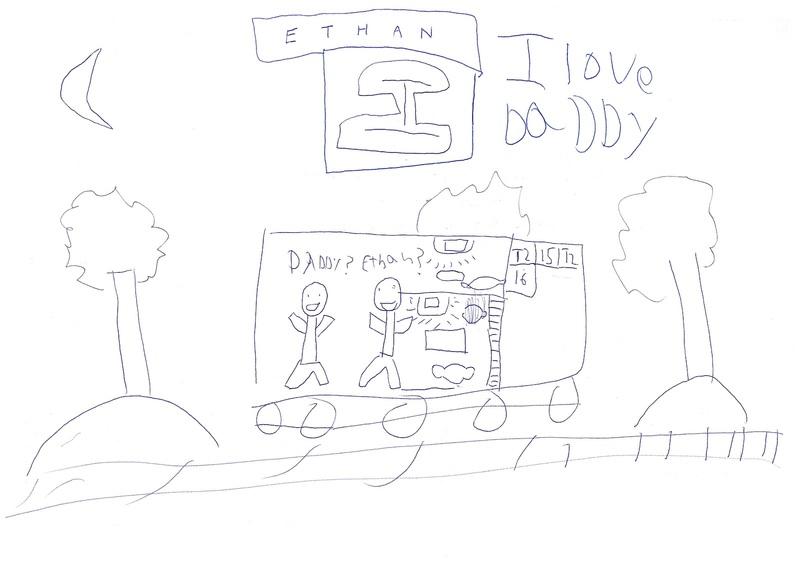 Ethan is now old enough to call it a father-son trip, and was expectantly looking forward to it. He sang about what would happen, how boys would be with boys and the girls would have their own mother-daughter outing. That day he asked 100 times when we were going to train station. Mum and Talia left for Bollywood-Veggies early in the morning so we had the day together as well. We filled it with lunch at Marche and the afternoon working in Daddy's office before setting off in the evening. "Daddy, I think this KTM train is nice but it's a little old," he said when we boarded. I assured Ethan that it was the same as the other KTM trains we took but because he had just been on the JR Kyushu trains, the Malaysian ones looked old! We happily ate dinner in the sleeping bunk as the train left Woodlands at 7.00pm sharp. After chatting, reading, snacking, and exploring Ethan was tired but not wanting to sleep. Fortunately Daddy recognized the symptoms and enforced story and bedtime. After that, all was quiet and Ethan slept till morning. At 6.45am I was awoken with an excited yell, "Daddy, we're still on the train!" This is how Ethan always wakes up the KTM sleeper - happy and bubbly! We munched on biscuits while waiting for our stop. Daddy discovered that our train was an hour behind schedule, so we got off early at Dabong rather than at Kuala Krai so we wouldn't miss the return train home. One iced milo, two tea tarikh, and two roti cenai later we were refueled. After restocking drinks and packing lunch we were back waiting for the train. Daddy noticed a new poster for a new train (Malayan Tiger Train) that supposedly started in Jan 2012 running between Johor Sentral an Tumpat. The sleeper berths are a new design and they look nice. Daddy will have to check it out for a future train trip. Since we are getting quite accustomed to these trips, we also need to raise the bar a little. Daddy is thinking about bringing the Brompton, cycling around and staying in a simple hotel for the night before catching the return leg to Singapore -- two nights with cycling and trains!! We are now enjoying the scenery aboard the train. Lots of interesting rock formations rising out of the tropical rainforest here in northern Malaysia. It's almost time for our nasi lemak lunch, though Ethan has been snacking so much that we are both quite full. I just discovered that JR Kyushu donated these decommissioned trains to Malaysia. I would have taken this on this recent trip if I had known. Will take next time with family. Can go from JB (not Singapore yet) to Wakaf Bahru (Khota Bahru). Great for overnight then homestay or Renaissance Hotel in Khota Bahru! :) Japan also donated trains to Thailand so I gotta figure out whether these trains are running there yet! Earlier today I discovered that there is a new train running on this line, the "Malayan Tiger Train.". I googled it after I got home. Imagine my pleasant surprise to discover the train itself was a donation from Japan! To be exact, it is the blue train from JR Kyushu that used to run between Tokyo and Kyushu. Now renamed as the Malayan Tiger Train, it runs on the East line between Johor Bahru and Tumpat! 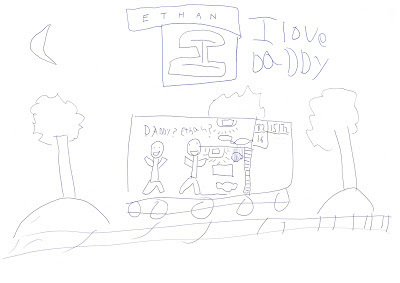 Ethan always has such a wonderful time on these trips, and he is now becoming more aware that his Dadday makes special effort to spend time with him on these outings. I think he is very grateful, though of course he cant express it in words. A super big hug, lots of "I love you Daddy!" makes it so worthwhile. Plus of course we know that we're building strong foundations of memories for the future!